In our blighted, crime-ridden country, we must sooner or later ask: What can we learn from other societies about crime? In particular, why are some societies crime-prone and others not? The likelihood is that there are multiple factors that potentially influence criminal tendencies in countries. Whilst acknowledging that the list of such factors could potentially be endless, we are interested in the fundamental, or major, causes of crime, that have a material impact on outcomes. •	The prevalence of fire-arms. I decided to conduct a study comparing as wide a range of countries as available data allows. To achieve this, I had to find an easily measured criterion to measure criminality, that would apply uniformly across many countries. Most crimes are defined differently in different countries, statistics are calculated by different methodologies and many offences are simply not recorded in some countries. But murder – the intentional killing of a person – is relatively uniformly defined across jurisdictions and easily detectable. Moreover, there is a rough correlation between the number of murders and other offences in a country. The reason for this correlation is fairly clear. By definition crime is the opposite of obeying the law. It is therefore likely that if the population of a particular national entity tends to flout law prohibiting murder, they will be inclined to disrespect the law in other respects too. In order to measure the influence of the law, I make use of the rule of law score in the Economic Freedom of the World Index. This includes factors such as independence of courts and the like. It fundamentally has to do with the question whether society is ruled by laws that are fair and consistent (not necessarily harsh and strict). I first divided the murder tally of each country (expressed as the number of murders per 100 000 citizens) into four quartiles. Then I tabulated as far as possible (again data permitting) the score of the potential contributing factors of each country listed. The average score per quartile would then tell us whether there is a trend indicating that a correlation exists between the murder rate and the particular factor. The significance of the corrrelation can also be measured. Leaving aside religion for the moment, it appears that the most reliable predictor of low crime rates is wealth creation, measured as per capita GDP. It should be said that education, rule of law and free markets all correlate with crime rates, and all probably combine positively to influence wealth creation. Of those three in turn, free markets show the most significant correlation with low crime rates. Lower unemployment absorbs idle people into gainful jobs, replacing its illegal counterpart, which is crime. The effectiveness of the police is self-evidently relevant to curbing crime. Inequality of income arguably results in social unrest, which could fuel crime. At the risk of stating the obvious, religion is to all intents and purposes impossible to change on a national level, at any rate by means of any legitimate policy instrument in a modern country. Yet is is clearly relevant. It is also clear that the beneficial influence of Roman Catholic and general Christian religion (if any) is rather weak compared to the others. There is one possible exception, and that is Orthodox church-dominated societies, whether in near-Asia or the Mediterranean, that have lower murder rates than even Hindu countries. Buddism’s reputation as a peaceful religion seems well-founded, as it comes first among the groups. Although “thou shalt not kill” is an injunction of all mainstream religions, some are more effective than others in curbing murder. The Christian-dominated societies include North America and Europe, that have become secular. To a great extent liberal values such as democracy, human rights, the rule of law and free markets have effectively replaced religion as the social organising framework. With the exception of the USA, all of these countries have low murder rates, ie well below 3 per 100 000 of the population. South Africa is of course a Christianity-dominant society, which does not help, as the above numbers show. What about firearms? The conventional theory is that countries with large numbers of guns have higher murder rates, because the more guns there are, the higher the risk that they will be used to commit crimes. This table makes it clear that there is no correlation between guns and murders internationally. Gun ownership does not seem significantly to increase the risk of murder. It is however notable that the gun ownership distribution roughly describes a bell curve, so that societies with very high gun ownership, and countries with few guns, both have low murder rates, while the middle portion (encompassing the peak of the curve) has relatively high murder rates on average. It may be that certain societies have values (due to their dominant religion and/or ethnic and cultural homogeneity), that abhor violence to the extent that they disapprove of both guns and murder. It also seems that high gun ownership levels are not necessary to ensure that murders are kept to a minimum. Again, it is clear that there is no correlation between high gun ownership and murder rates. The first point to make is that some of the countries with the lowest murder rates (Iceland, Norway, Austria and Switzerland) have amongst the highest gun ownership figures. The exception is of course the US, which has by far the highest level of gun ownership of all the developed countries, and also has the highest murder rate. It is for that reason that it has become the poster boy for the gun-control lobby. But the facts show that there is no relation between the two. This is confirmed by figures within the USA. In the US we can compare states’ gun ownership with gun murders (a figure that is not readily available in most countries, where I worked with murders as a whole). That should give us a fair idea whether jurisdictions where more people own guns, are more likely to use them to kill others intentionally. Once again, there is no correlation between the two sets of figures that supports the gun-control argument. Washington DC, with the highest murder rate, has low gun numbers, while Alaska, with by far the highest gun ownership, has a below-average gun murder rate. Even iff we take DC out of the equation (on the basis that it is a city, which naturally tends to have higher crime rates), the first-quartile average is still over 3, higher than any of the other three quartiles. Whilst there is not much of a correlation supporting the notion that gun possession reduces gun crime, the opposite is not true either. Gun ownership numbers seem, as in the international comparison, to make very little difference to the murder rate on average. More significantly, here we are talking about murders specifically committed with guns. What then explains the relatively high murder rate of the US, when compared to other developed nations? Inequality is indeed a good predictor of gun violence in the US – far better than gun prevalence is. This trend holds even if we once again take Washington DC out of the equation. It is then no coincidence that, among the developed countries listed above, the US has by far the highest income inequality. So here is clear evidence at last that income inequality matters. It seems to contribute to violent crime. Despite the beneficial influence of free enterprise, the rule of law, reasonably good education, high income per capita and low unemployment, the US has relatively high murder rates for a developed country. Inequality it is also a species of diversity, and conceivably operates in the same way as ethnic diversity, in that there is greater diversity of incomes, and thus social division. Thus it creates social tension between groups. Whatever the mechanism is by which it works, it seems indisputable that greater diversity is associated with more crime. The two factors of ethnic and income diversity seem to be the major ingredients that distinguish the US from the rest of the rich world. Applying all of this to South Africa, we are stuck with high ethnic diversity and a mainly Christian society, both of which correlate with relatively high crime (assuming the accuracy of murder as proxy). Neither of those two factors we can change, and both increase our crime risk. What we can change are our policies about education, employment and economic growth. Improving those will at the same time improve inequality of income. The rule of law is under severe threat in this country. State capture, general corruption and nepotism in the form of tenderpreneurship and cadre deployment all contribute to lawlessness. We are already seeing negative impacts of the mere threat of expropriation of property without compensation. Law enforcement by the prosecution and police is inconsistent in the extreme, and often tainted by political motives. It is barely surprising that SA scores poorly in terms of the effectiveness of our police force, namely 3.86 out of a possible 10. Our courts of law, for the time being, seem to be reasonably intact. There is much work to be done. The most effective change that we can make, is to reform our economy to a free market, which will improve income, employment and equality of income. 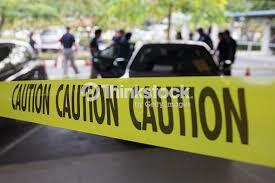 Ten million potential criminals will be taken out of the crime market if jobs can be created for the unemployed. Just as important is to reduce corruption in the government, and to improve the performance of the police force. How all that is to be done, is a discussion for a different day.